Dr. Ira Gore graduated medical school from Duke University School of Medicine and completed his residency program at University of Alabama Medical Center. 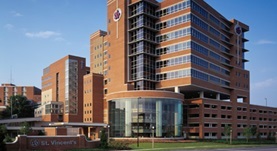 Soon after that, a fellowship in hematology followed at University of Alabama Medical Center. Dr. Gore is specialized in medical oncology and board certified in internal medicine and medical oncology. He has been working in the medical field for more than 20 years and is affiliated with St. Vincent's Birmingham.